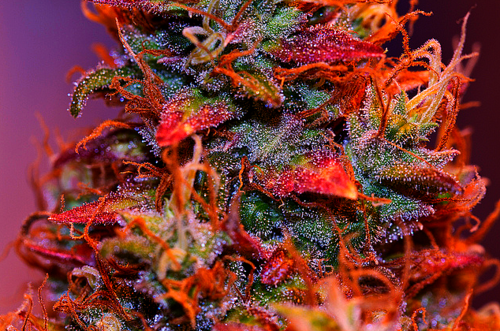 Where Do Those Crazy Strain Names Come From? Everyone dreams of having some Purple Haze in their hand, or some Pineapple Express – but does do you know where all these crazy strain names come from? Everyone dreams of having some Purple Haze in their hand, or some Pineapple Express – but does anyone know where all these crazy strain names come from? The names of your favorite buds have some very strange names. Every stoner must wonder where these funny names come from. The weirdest strain name I’ve ever come across is Afgooey, and believe me, there’s an explanation for this name too. Here are some examples of how your favorite strains got their names, and how some of the weirdest ones did too. Well, this is arguably the most popular strain of marijuana to have ever blessed our lungs with its presence. It is undoubtedly named after the famous Jimi Hendrix song, Purple Haze. Although the Hendrix song actually about LSD, Hendrix lovers named a popular strain after it. Purple Haze is also known for the lavender hues that comes up on its buds. Scientists say that purple is a common color to appear in marijuana, and actually, it comes up more often in conditions that are sub-par for the plant. The Pineapple Express strain (made famous of course, by the film) is a hybrid of the Hawaiian and Trainwreck strains. It’s a good sativa strain, although it’s more popular among medical patients than recreational ones. It gets its name from the floral aromas that is reminiscent of pineapples. This quality of the strain might come from its Hawaiian parent! There is a common misconception that kush actually comes from India, but in fact it comes from the part that shares its border with Pakistan and Afghanistan. Kush originated in Afghanistan, It does, however, get its name from the mountain range in that area, the Kush mountains. Of course, that is the area in which it grows and is effectively how it got its name. But don’t be fooled, smokers! The kush originates in Afghanistan, not India! White Widow is one of the most successful strains of marijuana for sale around the legal weed market today. There is controversy over who exactly invented the strain, but the first person to release it to the public was Shantibaba. He created it with a Brazilian sativa mother and a hybrid Indian father. It’s Brazilian maternal side has a history of spiritual use. It gets its name from how it appears before it is usually sold to the public. When the buds are on the tree, they are covered in white looking crystals. There is also a spider called a white widow, coined a widow because they often engage in sexual cannibalism. I guess it applies because it’s the woman with the sweetest buds in the marijuana pair! Ok, this one must be, by far, the strangest name for a strain of marijuana, but it is real. And it is also a very strong strain of weed. This one is because its growers said that after smoke a bit of this weed, you turn into a big gooey mess. Growers are increasingly getting more creative with their strain names! What is the crazy stains you have inhaled or eaten? Let us know on social media!